In Delhi, you can afford to put some new shoes on literally every month. A shoppers’ paradise, this city has shoes for everyone’s wallet. From Jimmy Choo at high-end malls to the local street markets in Delhi, there is no dearth of variety when it comes to trendy and fashionable shoes. The shoe stores in the city have everything from sneakers, boots, and flip flops to high-heels. In this article, we have listed nine whole shoe markets in Delhi that are ideal for budget shopping,. We point you to the best places for some fabulous and trendy shoes that won’t hurt your pockets all that much! Lajpat Nagar is one of Delhi’s well-known shopping hubs. For shoes in particular, there is a wide variety of shops where you can find formal shoes, Kolhapuris in different colours, flip-flops and heels. Make sure you definitely check out Style Shoes and Stilettos when you visit this market. Chandni Chowk is famous for selling replicas of branded sneakers at throwaway prices. You will find replicas of top brands like Nike, Adidas and Puma, which are of reasonably good quality as well. We recommend that you visit this shoe market nice and early around 7 am on the weekends, as these branded replicas tend to sell out very fast. The factory outlets in Mahipalpur are a must-visit if you want to get branded sneakers, or football studs. These outlets have legitimate, branded shoes that you can buy for a steal! Some major brands that you’ll find here are Nike, Adidas, Puma, Reebok and Red Chief. There are seven factory outlets at Mahipalpur near National Highway 8. Make sure you take a weekend out to shop at these outlets, and save a bunch of money you would otherwise spend at a regular retail store! Sardaar Bazaar is primarily known for its wholesale markets. However, there are some retail outlets as well. 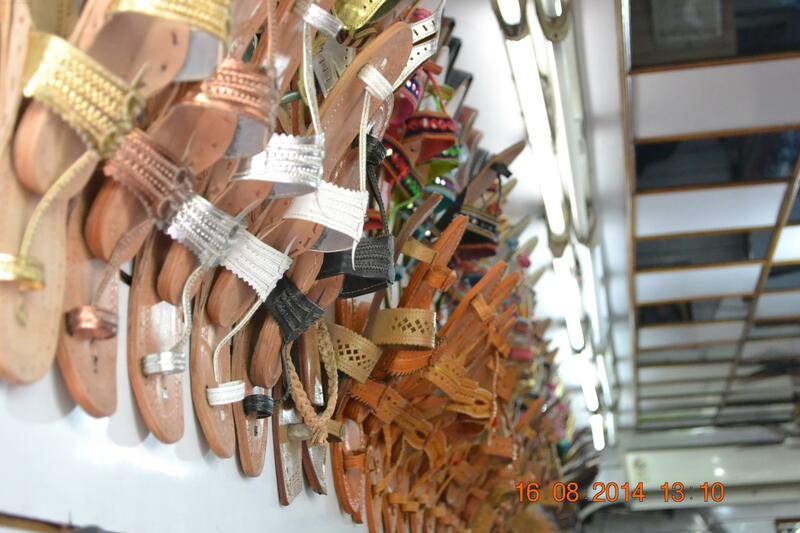 Chappal Waali Gaali is a lane in Sardaar Bazaar for the best and cheapest buys when it comes to footwear. You will find flip-flops, sneakers and leather footwear at unbelievable prices! This market is a popular hangout spot for college-goers at Delhi University. It is located near Patel Chest Institute of Delhi University. Head over here if you are in need of some comfortable footwear. Loafers, flip-flops, and sneakers are available here in some funky styles and colours at very reasonable prices. Tank Road has many wholesale outlets for shoes. You will find a lot of export surplus items in the shops here, and the shoes are available at dirt cheap prices. There is a wide variety of footwear here for both men and women. Take a weekend off, and head over here to add a bunch of funky shoes to your wardrobe that will cost you no more than a couple to a few hundred rupees a pair. Meena Bazaar, is also popularly known as ‘Chor Bazaar’. This market is located very close to the Red Fort, and is famous for export surplus, stolen (yes, really!) and secondhand shoes. You will find famous brands such as Zara, Top Shop and Steve Madden here, for as low as Rs. 400! Visit this market for some gorgeous, chic leather boots, boat shoes and heels at unbelievable prices. You may need to spend some time sifting through their collection to find your size, but we guarantee you that the time you spend here will be worth it! Located at the heart of Connaught Place, Palika Bazaar is a popular market for all kinds of shoes. Head over to this market to get yourself some branded sneakers, stilettos, comfort shoes and much more at extremely reasonable prices. 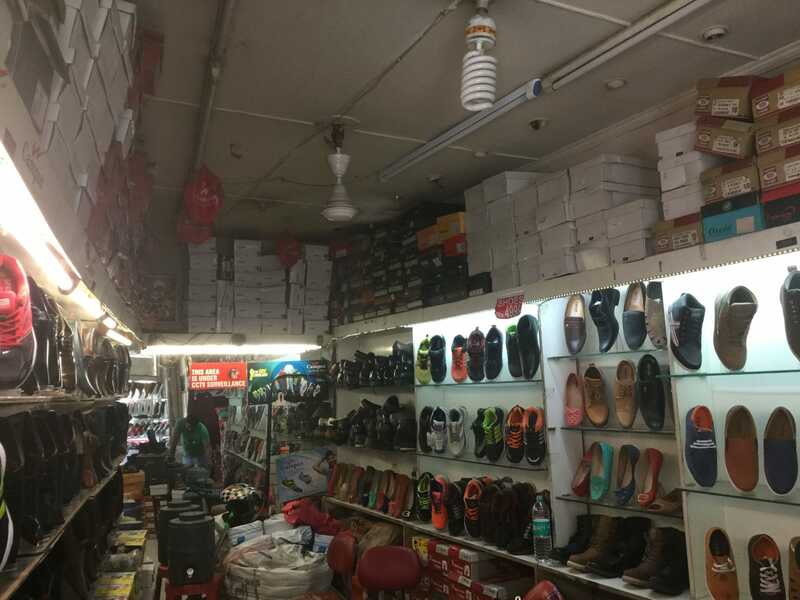 An excellent wholesale shoe market in Delhi. Wear some comfortable footwear, and headover to this market because we guarantee you that you’ll be spending a few hours here binging on the plethora of Kolhapuris, Osho chappals, sandals and a lot more that the rows of shops at Janpath have to offer. 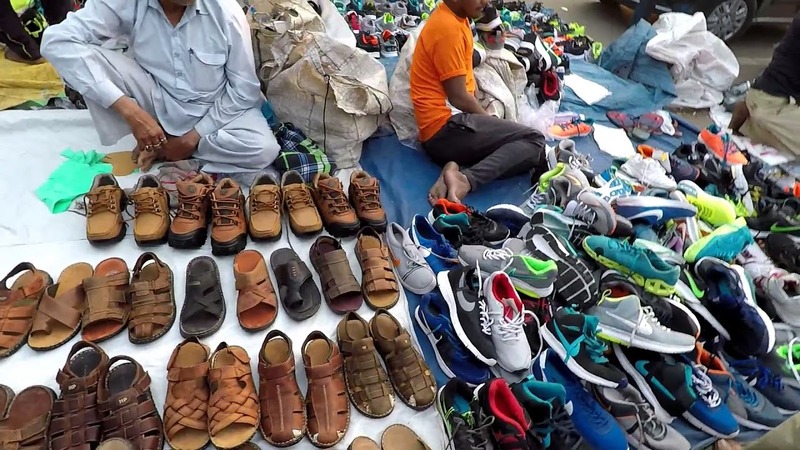 This is one of the most popular markets for shoes in Delhi, among other things like accessories and clothing. 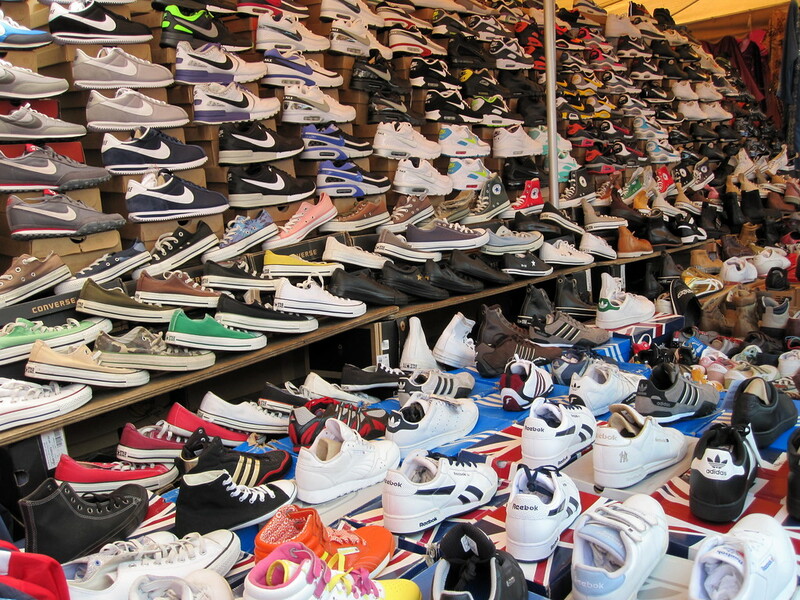 So go ahead, revamp your shoe closet by visiting these whole shoe markets in Delhi. They’re worth the effort you put in waking up early on a weekend to spend hours sifting through the heaps and piles of awesome and inexpensive shoes. If you have anything to add to our list or recommend, do drop in a note in the comments section!